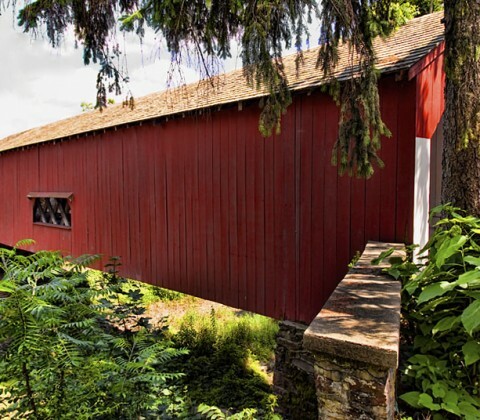 Uhlerstown Covered Bridge in Bucks County, PA. Built in 1832, this oak bridge has windows on both sides. 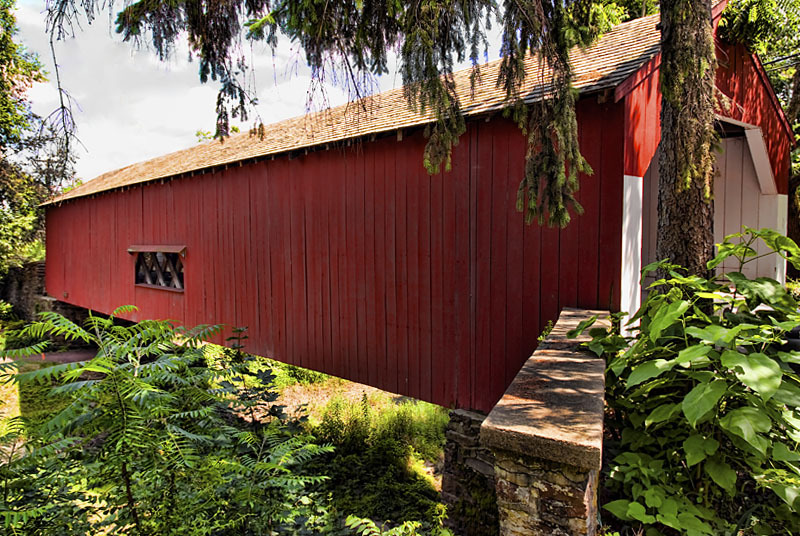 101 feet long, it is the only covered bridge over the Delaware Canal.